If there are two things I love on my taste buds, it's garlic-y goodness and melted cheese. While browsing one of my favorite foodie blogs (previously mentioned here), I found the perfect recipe to satisfy my taste buds. 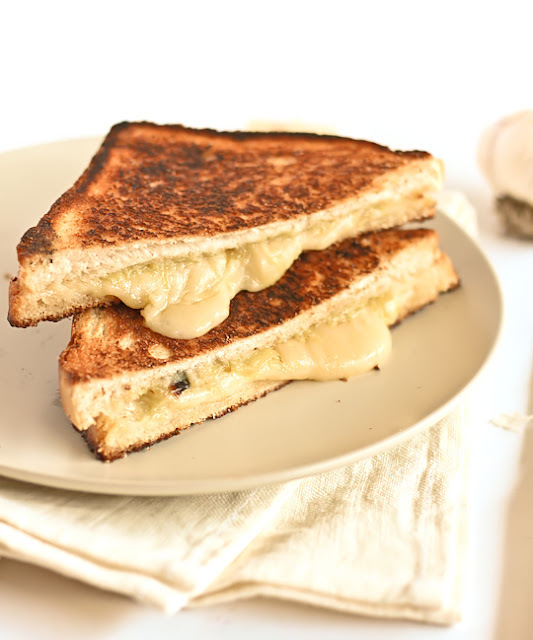 How good does gruyère and roasted garlic sound? Even better, when it's melted between two pieces of bread.